In November 2017, the European Court of Human Rights in Strasbourg reached a verdict that the Government of R. Macedonia, by denying registration to the canonical Ohrid Archbishopric, violated Article 11 and Article 9, i.e. it violated the freedom of assembly and freedom thought, conscience and religion, which it was obliged to respect, according to the Convention for Human Rights, which R. Macedonia has signed. In February 2018, the Government of R. Macedonia decided to file a complaint before the Grand Chamber of the aforementioned court, in regards to the reached verdict. We are informing the public that the Grand Chamber of the European Court of Human Rights in Strasbourg, in April 2018, rejected the complaint of the Government of R. Macedonia, thus making the earlier reached verdict, regarding the registration of the Orthodox Ohrid Archbishopric, final! The US State Department has recently published its 2016 International Religious Freedom Report. The State Department in the last fifteen years, in its reports, points out the restrictions upon the religious freedoms in regards to the Orthodox Ohrid Archbishopric and other religious communities, as well, on the account of the authorities’ favoring of the Macedonian Orthodox Church (MOC). The report for 2016 highlights the imprisonment sentences for Archbishop Jovan of Ohrid, the court verdicts and processes against the members of the Orthodox Ohrid Archbishopric, that are still ongoing, as well as the denial for the registration of the Orthodox Ohrid Archbishopric, in regards to which there is an ongoing process in the European Court for Human Rights. Among the other issues, the report states that according to various university professors, nongovernmental organization (NGO) leaders, and legal and political analysts, religious differences continue to play a role in criminal and civil court cases, and as an example for that is the case of the state persecution against Archbishop Jovan of Ohrid and the Orthodox Ohrid Archbishopric. The report also states that the Helsinki Committee for Human Rights called Archbishop Jovan of Ohrid a political prisoner, and that the denial to register a religious community represents a violation of the basic human rights and religious freedoms, having in mind that by doing so, the religious community is prevented to engage in certain activities such as establishing schools or receiving donations that are tax-deductible for the donor. These are the problematic points: the imprisonment sentences and the court processes against the Orthodox Ohrid Archbishopric, solely because of its religious difference, as well as the denial to register it, and those points should at last be comprehended by the authorities who – by solving them – would contribute to the progress of our country towards the democracies in which it is shameful even to think that someone could be stigmatized and persecuted by the state solely because of one’s freedom to choose a religion. 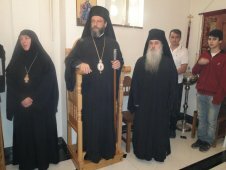 His Beatitude Archbishop Jovan of Ohrid and Metropolitan of Skopje has been awarded an honorary doctorate by the National and Kapodistrian University in Athens, upon a suggestion by the Theological Faculty of Athens, for his rich academic work, as well as for his sacrifice for the unity of the Church. On the General Assembly of the Theological Faculty, a report on the work of Archbishop Jovan was submitted by the professor Mr. E. Karageorgoudi and the president of the department, Mr. Sotirios Despotis. The promotion of the honorary doctorate will take place in the big hall of the National and Kapodistrian University in Athens, in May next year. On that occasion Archbishop Jovan will give a speech. 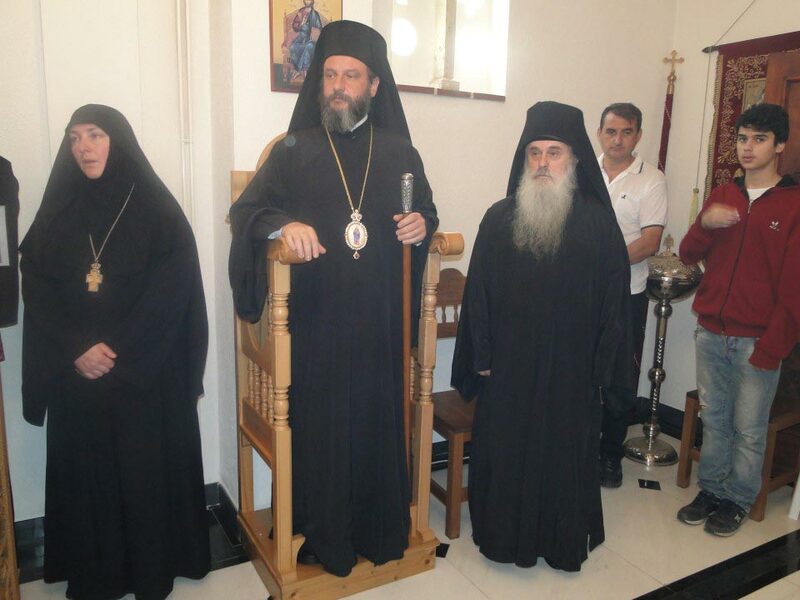 The court hearing in the latest politically rigged judicial persecution against Archbishop Jovan of Ohrid, two bishops, priests, monastics and the believers of the Orthodox Ohrid Archbishopric was scheduled for today. Although everyone of the unjustly accused appeared in the court, as always, the court hearing did not take place. Namely, the judge notified the unjustly accused that the public prosecutor called him on the phone this morning and told him that she would not appear on the hearing (sic!) that was scheduled since June. At the same time, the judge did not find necessary to inform the lawyer of the unjustly accused, so that they would be informed through them and not be exposed to maltreatment to come to the court when it is not necessary! We leave it to the sober minded readers to answer to themselves why does the judge, in collaboration with the public prosecutor, find it useful to endlessly prolong the court process? 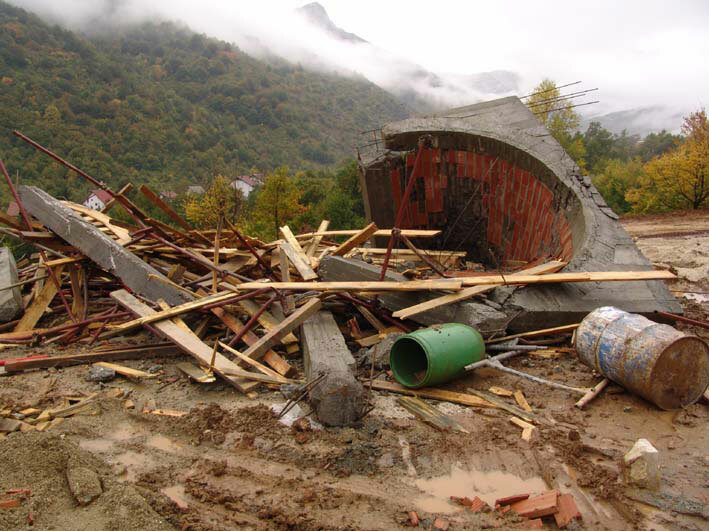 The state persecution on religious basis against the Orthodox Ohrid Archbishopric continues! The next hearing is scheduled for October. Today it is a double feast and a double joy for the canonical Church in our homeland, the Orthodox Ohrid Archbishopric. The first feast is the celebration of the saint of Lichnida, St Erasmus of Ohrid, whose relics are kept in the Stavropegic monastery of St John Chrysostom in Nizepole, Bitola, and the other occasion for celebration and hope is today’s departure of His Beatitude Archbishop Jovan of Ohrid and Metropolitan of Skopje to take part in the Holy and Great Council of the Orthodox Church, to be held in Crete. 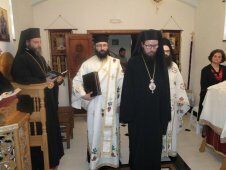 On that occasion, in the mentioned monastery a Holy Liturgy was served on which His Eminence Bishop David of Stobi and Administrator of Strumica presided, in the praying presence of His Beatitude Archbishop Jovan of Ohrid and Metropolitan of Skopje and their Eminences Bishop Joakim of Polog and Kumanovo and Administrator of Debar and Kicevo and Bishop Marko of Bregalnica and Administrator of Bitola, who came for a farewell meeting with Archbishop Jovan before his departure to the Holy and Great Council. After the Liturgy, under the presidency of Archbishop Jovan, a meeting of the Holy Synod of Bishops of the Orthodox Ohrid Archbishopric was held. After the meeting, the Bishops greeted His Beatitude Archbishop Jovan, not hiding the immeasurable joy that after many centuries a prelate will represent our local Church, from our homeland, on the upcoming Holy and Great Orthodox Council in Crete. That Council is the first one that takes place after whole 1229 years, although in the meantime other councils were held, which have not yet been recognized as Ecumenical Councils. 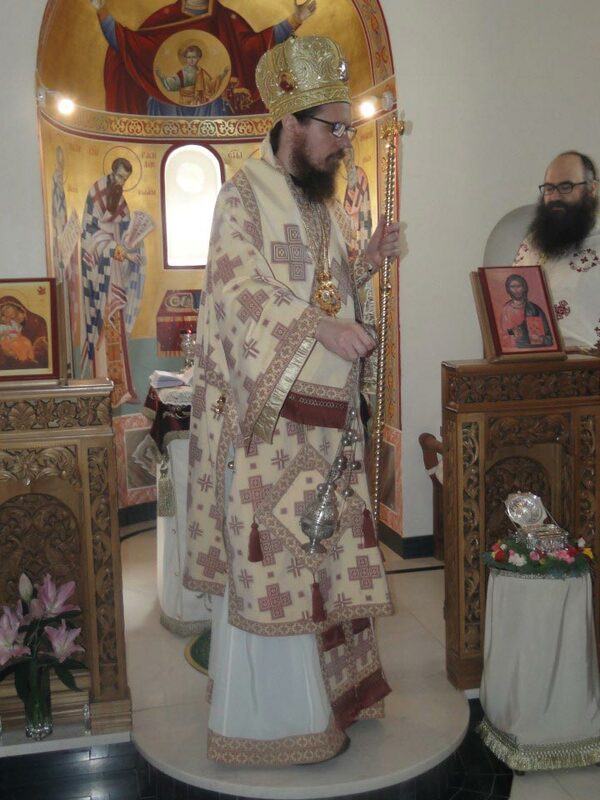 From the territory of our homeland, until now, the following Bishops have taken part in the Ecumenical Councils: Quintil of Heraclion (Bitola) on the Fourth Ecumenical Council, Nicolas of Stobi on the Fourth Ecumenical Council, Benin of Heraclion (Bitola) on the Fifth Ecumenical Council, representing also the Metropolitan of Thessaloniki (Salonica), Fokas of Stobi on the Fifth Ecumenical Council and Jovan of Stobi on the Sixth Ecumenical Council. On the upcoming Holy and Great Council of the Orthodox Church, that will be held after so many centuries, His Beatitude Archbishop Jovan of Ohrid and Metropolitan of Skopje will be taking part. 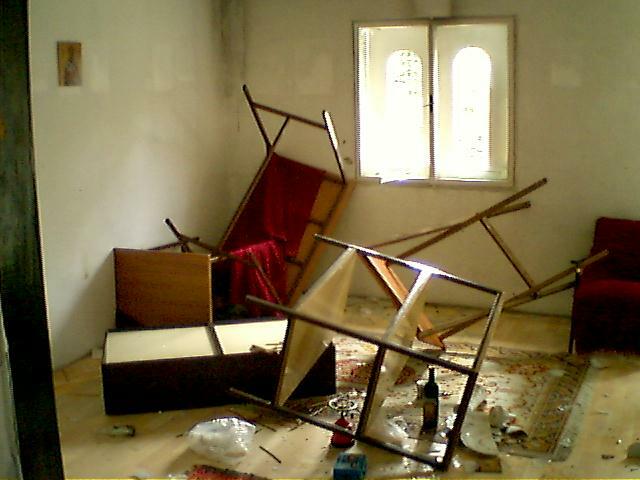 On this day, four years ago, the police intruded several monasteries of the Orthodox Ohrid Archbishopric, as well as the homes of some of its members, and following the orders of the state government, it demonstrated unseen brutality by physically attacking nuns, by confiscating everything that it could take from the monasteries – for example, despite not having the warrant for that, it took the registration books of the baptized and married believers (something that was not happening even in the totalitarian systems) and has not yet returned those books, by putting handcuffs on parents in front of their minor children, and so forth. 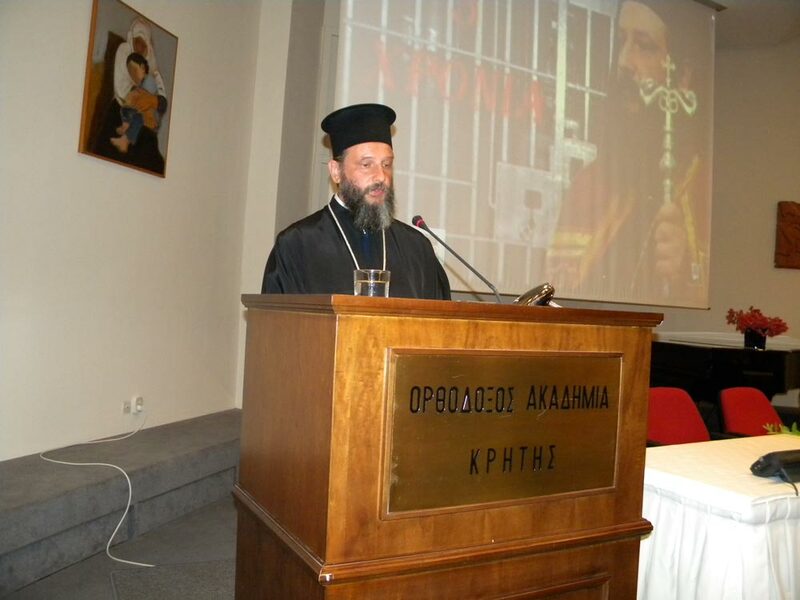 During this state persecution on religious basis, Archbishop Jovan of Ohrid and Metropolitan of Skopje, although he already was imprisoned and had no possibility to avoid presence in the court, he was still transferred to the detention prison, in much stricter conditions. This decision of the authorities was by many organizations for protection of human rights and religious freedoms, characterized as exercising torture upon Archbishop Jovan. 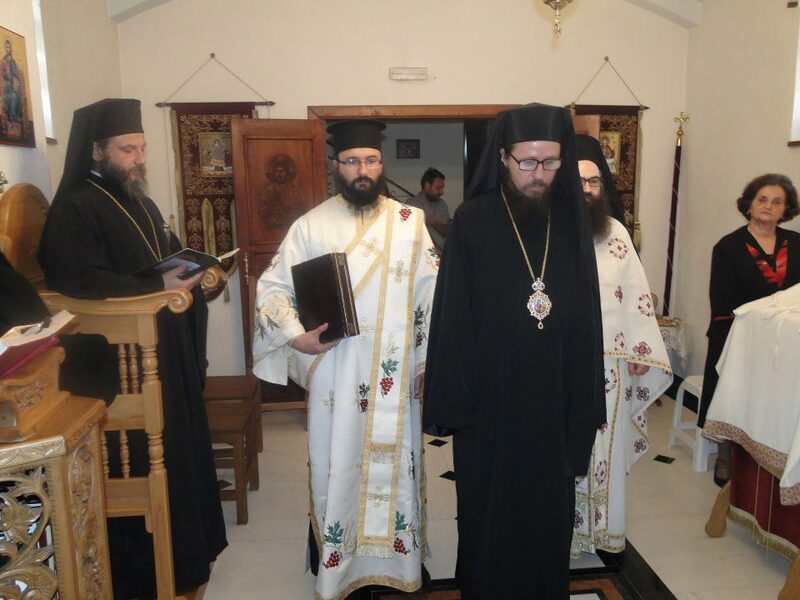 At the same time, Bishop Marko of Bregalnica and Bishop David of Stobi, other priests, monastics and believers of the Orthodox Ohrid Archbishopric, a total of 18 persons, had their passports taken by the authorities and were obliged to regularly appear in the court. Among other things, our homeland is, in the international reports, ranked among the partially free countries, which are far from the advanced democracies, also due to this persecution on religious basis. 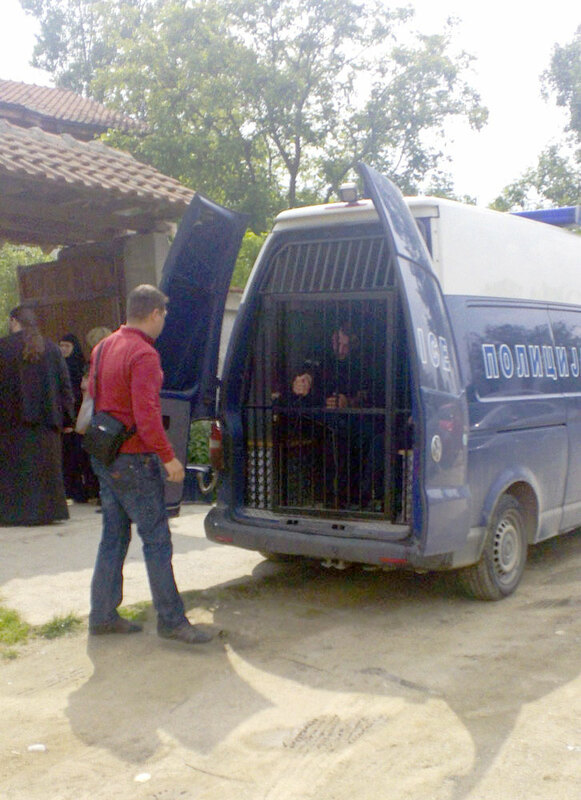 The state persecution on religious basis against Archbishop Jovan of Ohrid and the Orthodox Ohrid Archbishoric began 14 years ago, with imprisonments and denial of registration of the Chruch and with continuous, rigged court processes. On this day, four years ago, the latest court persecution began. Four years afterwards, this court process is still ongoing, and the next hearing is scheduled for the beginning of June. On April 21 another hearing in the politically rigged court process against Archbishop Jovan of Ohrid and Metropolitan of Skopje, the bishops Marko of Bregalnica and David of Stobi, as well as against the clergy, monastics and the believers of the Orthodox Ohrid Archbishopric, took place. On the hearing, as a witness against Archbishop Jovan of Ohrid and the others, appeared the schismatic cleric Dimitar Belcovski of the unrecognized Macedonian Orthodox Church (MOC). In his addressing, Archbishop Jovan of Ohrid reminded Belcovski that we were entering the week of the Passions of Christ, pointing out that he would serve in that week and called upon his consciousness, since from upon statement it depended whether 19 members of the Orthodox Ohrid Archbishopric would be sentenced imprisonment. MOC and its Synod, are asking for negotiations for solving their problem with the schism, and in those negotiations the Orthodox Ohrid Archbishopric takes part, but at the same time the representative of MOC, protodeacon Belcovski, with his false testimony on today’s hearing, did everything to disadvantage the accused Archbishop Jovan and the other bishops, priests, monastics and believers of the Orthodox Ohrid Archbishopric, who are being persecuted on religious basis in the last 14 years. We are reminding that in those 14 years not a single day has passed without an ongoing prison sentence, or a court process against Archbishop Jovan and the Orthodox Ohrid Archbishopric. It is also indicative that the witnesses that the Prosecution asked to be called, are still not appearing to testify, thus the Court of First Instance is tendentiously prolonging this court process, scheduling the next hearing for June. 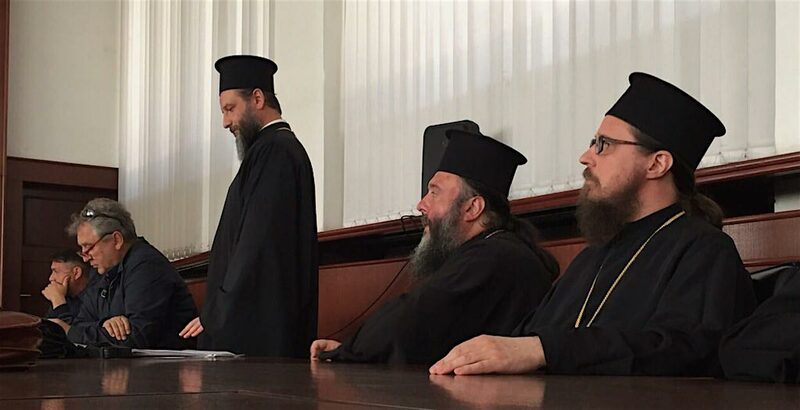 Today an attempt was made to hold the second hearing of the repeated court process against Archbishop Jovan of Ohrid, the Bishops Marko of Bregalnica and David of Stobi, the clergy, monastics and the believers of the Orthodox Ohrid Archbishopric. The judge ascertained that despite the several attempts that were made, the court was not able to reach the witness who, on the suggestion by the Public Prosecutor on the previous hearing, was to be called to testify. The false witness, upon whose testimony the court founded the previous verdict, suddenly became unreachable for the court. The judge scheduled the next hearing for the end of April this year. 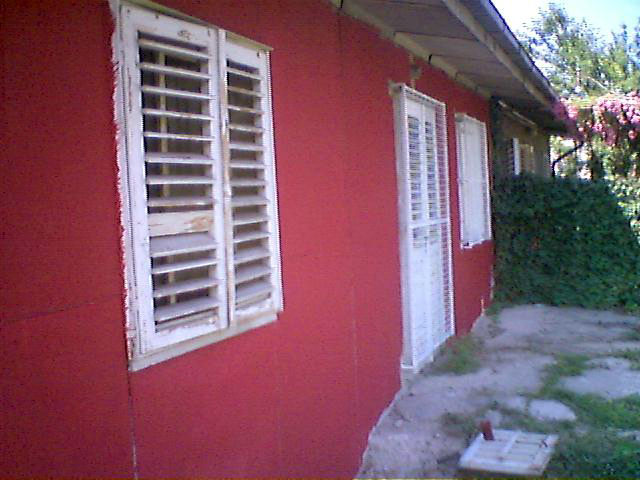 Also, although literally all funds from the bank account of the Association for Protection and Promotion of Religious Freedoms “Anastasia” were confiscated by the court, following the previous verdict, and the account is completely empty, the judge still refuses to unblock it, thus unlawfully hindering the functioning of “Anastasia’s” bank account, which is the only bank account through which the Orthodox Ohrid Archbishopric can operate. The first hearing of this repeated court process was scheduled for July, last year, and today, nine months afterwards, the judge was only able to hold the second hearing. Indicative is also the fact that the judge schedules the hearings in time periods of two months, through which he tendentiously and perpetually prolongs this politically rigged, state persecution on religious basis, against the canonical Church, the Orthodox Ohrid Archbishopric. 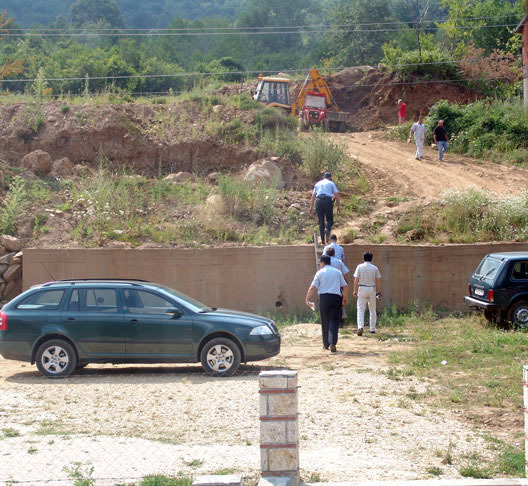 We are reminding that in the last 14 years, not a single day has passed without an ongoing rigged court process against the Orthodox Ohrid Archbishopric or without an ongoing prison sentence of Archbishop Jovan! The relevant international reports are continually pointing out that the proverbial domestic judiciary is the most corrupted and most subjective to political influences segment of our society. After seven months of postponing of the scheduled court hearings, today, January 28, 2016, in the Court of First Instance Skopje I in Skopje, the politically rigged court process against His Beatitude Archbishop Jovan of Ohrid and Metropolitan of Skopje, two Bishops, priests, monastics and believers of the Orthodox Ohrid Archbishopric has begun. The hearing was soon done and the trial could have ended in the soonest possible time, but that will not be the case, due to the tendentious delays of the Public Prosecutor, who requested the witnesses that already testified, to be brought to the court again. 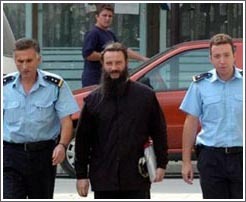 The lawyer of Archbishop Jovan of Ohrid brought forth to the Court, that the decision of the Supreme Court, through which the case is being returned for a retrial, states crystal clear that the testimonies are not at all problematized, but instead, the Court of First Instance is asked to reevaluate its verdict, on the grounds of the already existing testimonies and proofs. 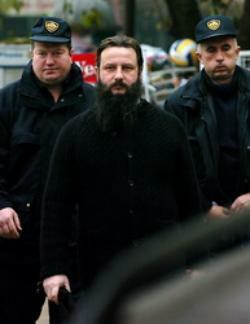 Contrary to the recommendations by the Supreme Court, the Court of First Instance still decided to accept the request of the Public Prosecutor, and scheduled the next hearing for, as late as, mid-March, thus continuing the court prosecution on religious basis targeted against Archbishop Jovan, the Bishops, priests, monastics and the believers of the Orthodox Ohrid Archbishopric. In the majority of the international reports, the proverbial domestic judiciary remains one of the reasons for the decline of R. Macedonia, on the scale of the normal functioning of the civil society. The state of the judiciary are especially noted in the report of Priebe, as a segment that requires many serious reformations, that should lead to democratization of our society. 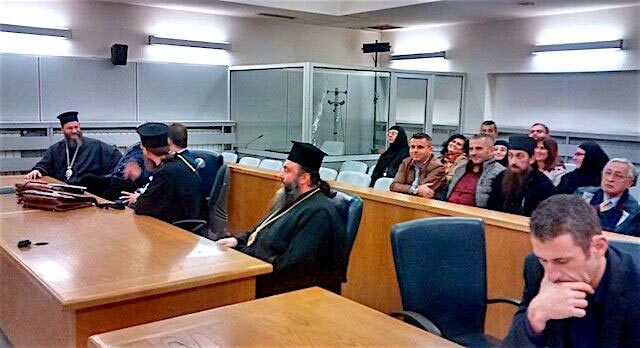 The court hearing in the latest politically motivated and rigged state persecution against Archbishop Jovan of Ohrid, two Bishops, priests, monastics and adherents of the canonical Church in R. Macedonia, the Orthodox Ohrid Archbishopric, was scheduled for December 16, 2015. The court hearing was scheduled after the Supreme Court, with unambiguous statements and serious remarks in regard to the inconsistency of the Court of First Instance, and in favor of the unjustly accused, annulled the convicting verdict of the Court of First Instance, and returned the case for a retrial under the same judge that reached the convicting verdict. Again, for the fourth time, the court hearing was postponed! The judicial system in our homeland is exposed to serious criticism, and its radical reform is one of the main conditions for the approximation of the country towards the advanced democratic societies! The next hearing is scheduled for the end of January, next year! Having in mind that initially the beginning of the trial was scheduled for July this year, it is obvious that the court is not capable to start the trial for a period of whole seven months! 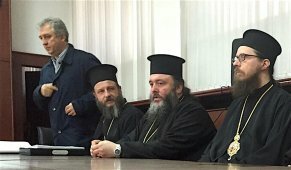 We are reminding that the Holy Assembly of Bishops of the Serbian Orthodox Church, in May this year, responded positively to the request by the unrecognized Macedonian Orthodox Church, for initiation of a dialogue for solving the problem of this Church in schism, but with an unambiguous decision of the Holy Assembly of Bishops: the dialogue will not conclude before this politically rigged court process ends with an acquitting verdict of the court! The court hearing for the latest politically motivated and rigged state persecution against Archbishop Jovan of Ohrid, two Bishops, priests, monastics and members of the canonical Church, the Orthodox Ohrid Archbishopric, was scheduled for November 2, 2015. The court hearing was scheduled after the Supreme Court, with serious remarks in favor of the unjustly accused, abolished the convicting verdict of the Court of First Instance, but at the same time, returned the process for a retrial under the same judge that reached the convicting verdict. Again, for the third time, the court hearing was postponed! The Public Prosecutor had not notified the court in advance that she will not show on the court hearing, and according to the court report, also did not have a timely filed confirmation that due to health reasons she will not come to the trial. The judge called her on the telephone and she told him then, that she was not going to appear on the trial. If the court had been timely notified for the absence of the prosecutor, the unjustly accused would not have been exposed to travel costs and waste of time, to come from different towns of the homeland. The judicial system in our homeland is exposed to serious critique by the international community and its thorough reform is one of the main conditions for progressing towards the advanced democratic societies! The next hearing is scheduled for the middle of December! Having in mind that initially the hearing was scheduled for July this year, the court is obviously not capable of starting the trial in the passed half a year! The Holy Assembly of Bishops of the Serbian Orthodox Church in May this year responded positively to the request of the schismatic MOC for starting of the dialogue for solving the problem of this unrecognized Church, but with clear and unambiguous notation: the dialog will not end, until this rigged court process ends with an acquittal verdict by the court! At the beginning of this addressing, we send You our greetings. In continuation, we would like to very brieﬂy inform You about the violation of the basic religious freedoms of the part of the citizens of R. Macedonia. We are acquainted with the fact that our country will be presiding the Council of Europe and we consider that it is necessary to draw attention to the paradoxical situation that an esteemed institution, such as the Council of Europe, will be presided exactly by R. Macedonia, which violates the basic religious freedoms of a part of its own citizens! Namely, in R. Macedonia exists the Orthodox Ohrid Archbishopric with a recognized autonomous status in the world of Orthodox Christianity, but persecuted by the state in its homeland. 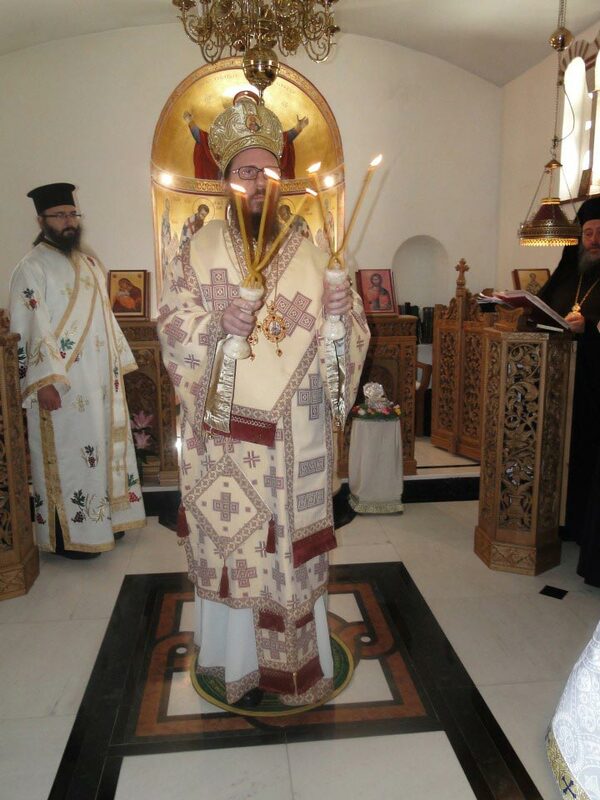 Her prelate, Archbishop of Ohrid and Metropolitan of Skopje k.k. 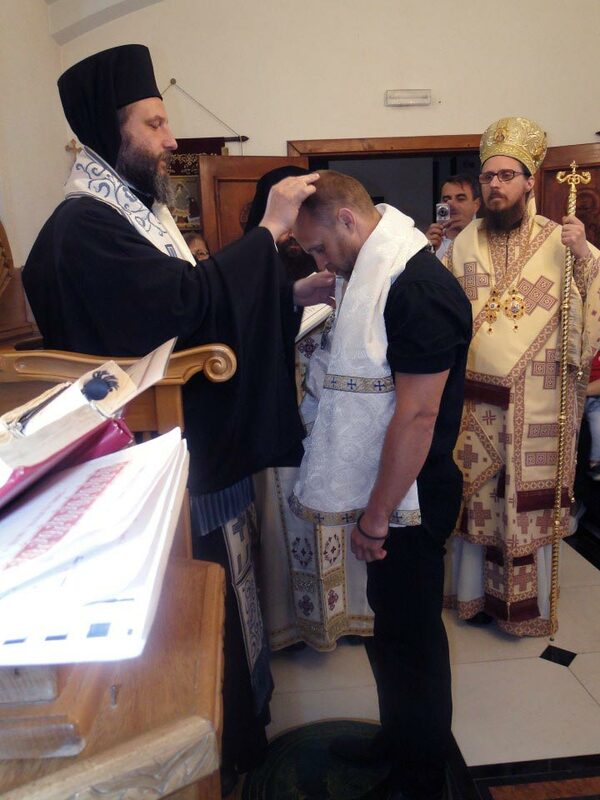 Jovan, has served two prison terms because of his religious beliefs, and the court on two terms refuses the registration of the Archbishopric in the register of religious communities. In regard to the imprisonments of Archbishop Jovan and the refusal of registration of the Archbishopric to which, among the other nationalities, the Macedonian citizens of Serbian nationality also belong, the representative of the Serbs in the Government and Member of Parliament, Mr. Ivan Stoiljkovic stated: “it is not being mentioned that the Serbs in Macedonia cannot realize their religious freedom, granted by the Constitution” (Blic, 24th February 2010). For a more precise insight into the above stated, in continuation we enclose a chronological overview of a part of the events, since the constitution of the Orthodox Ohrid Archbishopric in 2002 until today. 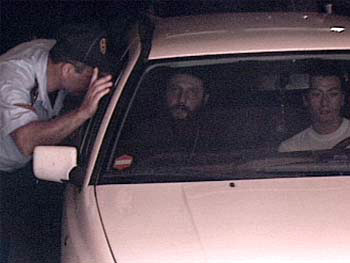 Upon entering in the canonical and ecclesiastical unity with the Serbian Orthodox Church — and through that with the whole community of Orthodox Churches — in June 2002, Archbishop Jovan was illegally and brutally expelled from his residence and cathedra in Veles, by the police, without a court order and without a period for moving out. In the same manner, illegally and without a court order or period for moving out, the monks of four monasteries, were expelled from their monasteries, i.e. 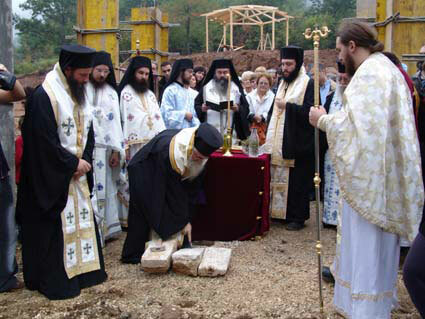 homes, in January 2004, immediately after joining the Orthodox Ohrid Archbishopric. The declaratively secular state legalized its identification with a specific religious community — the Macedonian Orthodox Church (MOC), through the Parliament’s “Declaration for support of the autocephaly of the MOC” reached on 23rd January 2004, thus favoring a single religious community at the cost of discrimination of the other religious communities. 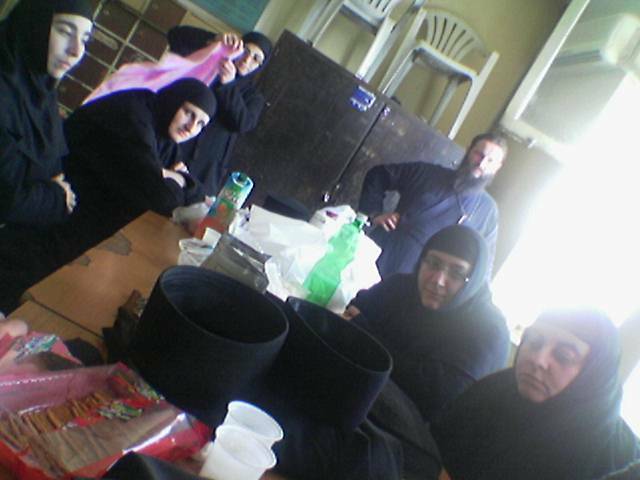 In February 2004, the monastery, “St. John Chrysostom”, in the village Nizepole, was broken into by armed and masked men, who — not finding the Archbishop Jovan they were after — harassed and threatened the nuns with machine-guns, cut their hair and set the monastery on fire. 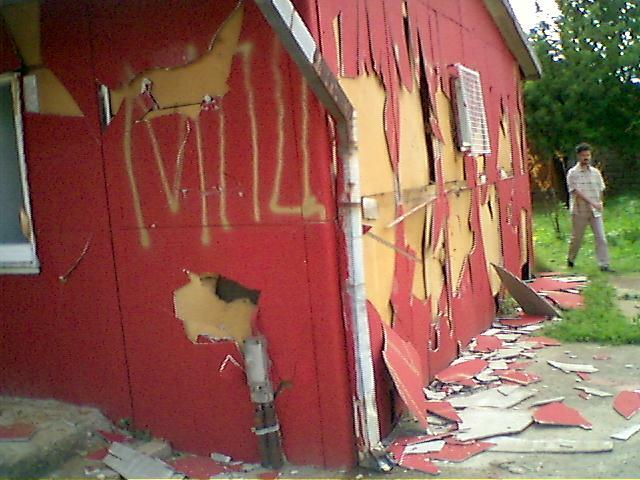 Until this day, the police has not found the perpetrators. The Church in the “St. 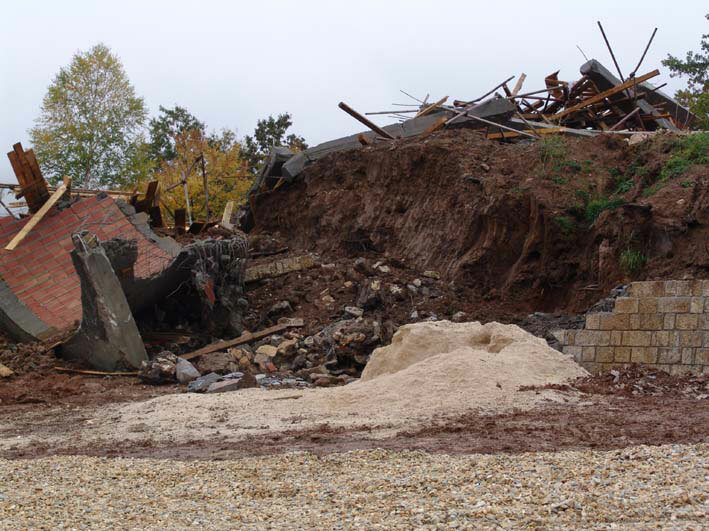 John Chrysostom” monastery was illegally demolished by the state authorities on 15th October 2004.
the service of sanctification of the foundations for the church in the “St. John Chrysostomos” monastery in Nizepole, near Bitola. Metropolitan Ignatios of Demetrias and Almyros (Orthodox Church of Greece) and Metropolitan Kiril of Varna and Preslav (Bulgarian Orthodox Church) took part in the service together with the Bishops and clergy of the Orthodox Ohrid Archbishopric on 18th September 2004. The church in the “St John Chrysostom” monastery, before the destruction. The church in the “St John Chrysostom” monastery, after the destruction. 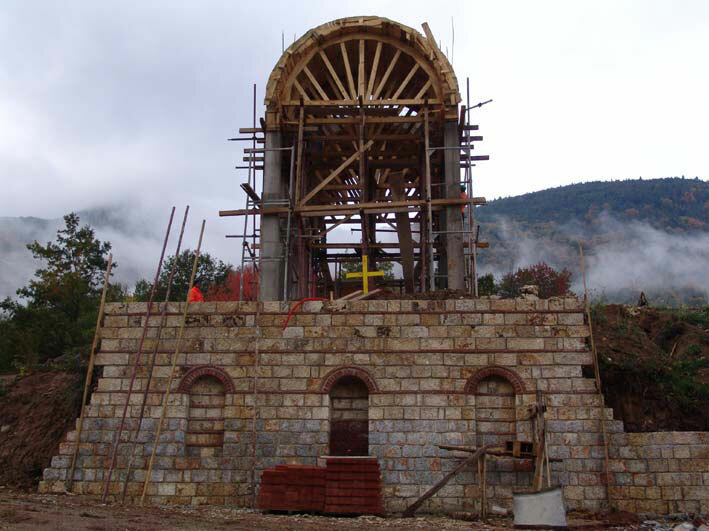 On 3rd November 2004 the State Commission for Relations with the Religious Communities and Groups refused the registration of the Orthodox Ohrid Archbishopric, without stating essential grounds for the refusal. On 22nd June 2005, Archbishop Jovan was sentenced to 18 months imprisonment for “Instigation of ethnic, racial and religious hatred, discord and intolerance”. 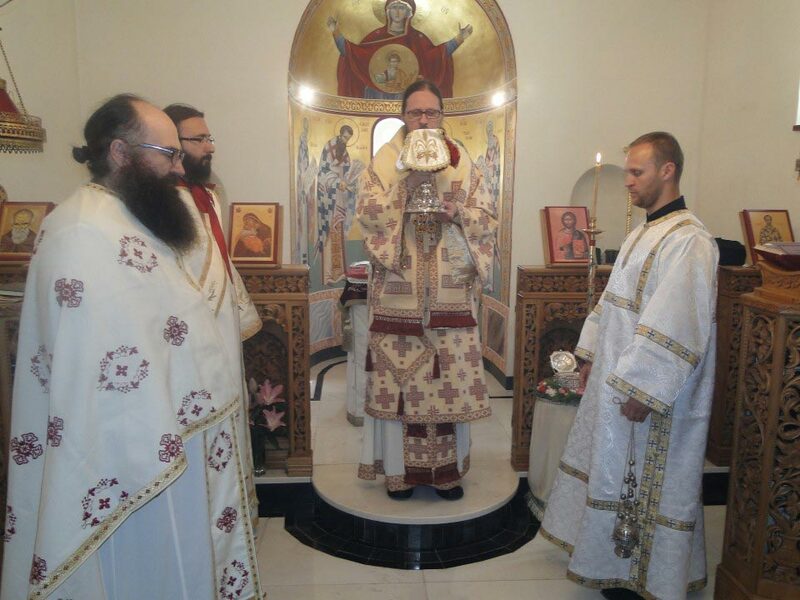 The verdict stated the conviction relied on these three points: 1) he agreed to be appointed as an Exarch of the Ohrid Archbishopric in Macedonia, 2) he participated in the ordination of the bishops Joakim and Marko and 3) he officiated at a religious service in an apartment owned by his parents. He served 220 days in prison before the Constitutional court declared the last two of these three points, upon which the sentenced was based, to be unconstitutional and his sentence was shortened to 8 months. In 2006, Archbishop Jovan was sentenced for the second time, on charges for “Embezzlement”, and as a second defendant was sentenced 2 years imprisonment, while the first defendant was sentenced 1 year and 3 months. He served 256 days before the Court of Appeals shortened his prison term, and he was released. The chapel “St. 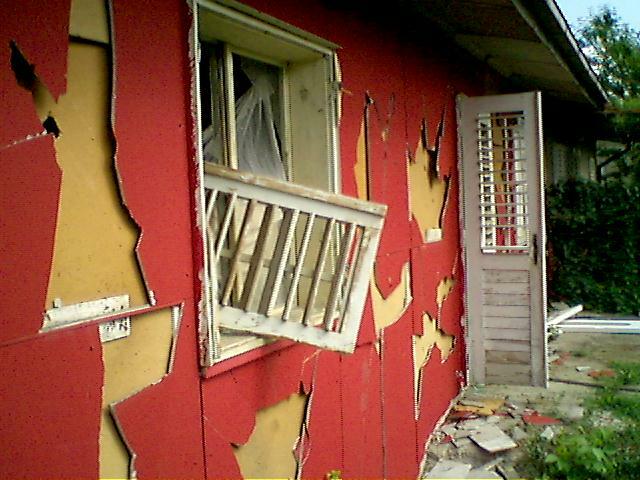 Nektarios of Aegina” in the suburb of Skopje, after being broken into and vandalized on several occasions, was at the end completely demolished on 12th July 2005, before the eyes of the police, which undertook nothing to prevent the incident. Bishop Marko was beaten up while serving at a public graveyard on 10th February 2007. The police refused to investigate the case. The chapel “St. Nectarios of Aegina” before the vandalization. Inside the Chapel — sacrilage of the Holy Altar. On 28th July 2009 the Orthodox Ohrid Archbishopric was for the second time refused registration, this time by the Court (which, according to the new religion law, took the responsibility for the registration of religious communities and groups). The clergy of other Orthodox Churches is not allowed to enter the country, for several years already. On 15th October 2009, Archbishop Jovan has been sentenced for the third time, on charges for “Embezzlement”, in a court process which lasted 8 years. As in the previous cases, he has first twice been acquitted by the primary court, but the court of appeals returned the case, until a newly appointed judge finally convicted him. He is to serve 2 years and 6 months prison term and to pay damage of 240.000 Euros to the Macedonian Orthodox Church (MOC) for items that the expertise proved that have remained property of the MOC. Although in order to comply with the European legislation, a new law for registration of religious communities has been adopted in May 2007, that law practically never began to function. 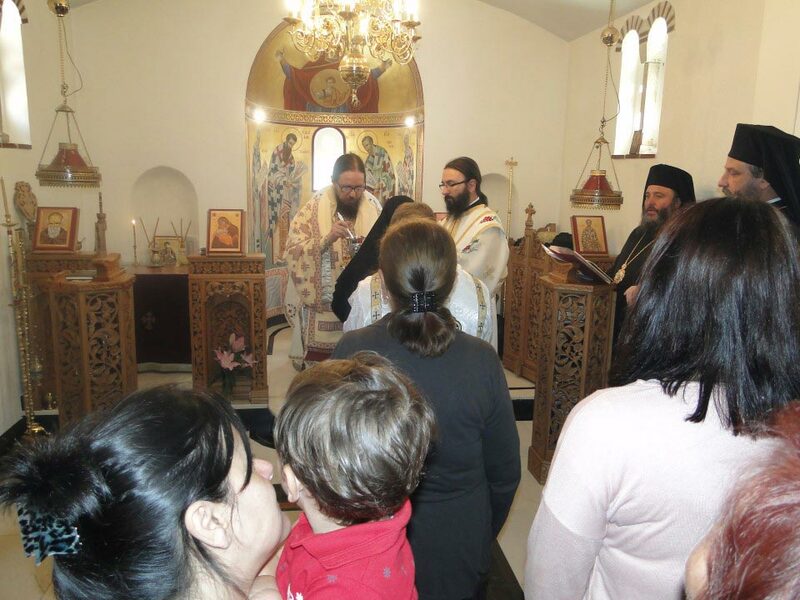 The application for registration of our Church, the Orthodox Ohrid Archbishopric, as already pointed out, was rejected also according to that new law. On 20th July 2009, the Ambassador of United States of America in the R. Macedonia, Mr. Philip T. Reeker, stated: “A year ago, I described the law on religious organizations in Macedonia as a model for the region when I spoke in front of the United States Senate. We have over the past year made our concerns clear on the lack of implementation of that law at the highest levels of government.” (http://macedonia.usembassy.gov/bektashi_community.html) In addition, the US Mission to the OSCE reports that: “In Macedonia, the law favors the Macedonian Orthodox Church and Islamic Community of Macedonia, and discriminates against other religious groups... In Macedonia, the lack of effective implementation of the registration provisions of the 2007 Law on the Legal Status of Churches, Religious Communities and Groups helps to further an atmosphere of apparent discrimination against the non-establishment religious organizations.“ (http://osce.usmission.gov/media/pdfs/statements-at-hdim/hdim09_session02.pdf) Despite the new law has declaratively been adopted, in practice, in R. Macedonia today there are more religious communities that have been rejected registration, than ones that have been registered, by which the state is protecting the monopoly of the Macedonian Orthodox Church. US Mission to the OSCE warned of “Violation of freedom of religion” and “encouraged the authorities to apply the law fairly”, advising “the government should avoid involving in religious disputes”, reminding that “Article Nine of the European Convention on Human Rights and Article 19 of the Macedonian Constitution as well as Macedonia’s OSCE commitments, and international norms, all guarantee his right to freedom of religion.” (http://osce.usmission.gov/media/pdfs/2004-statements/fyrom_2-5-04.pdf). 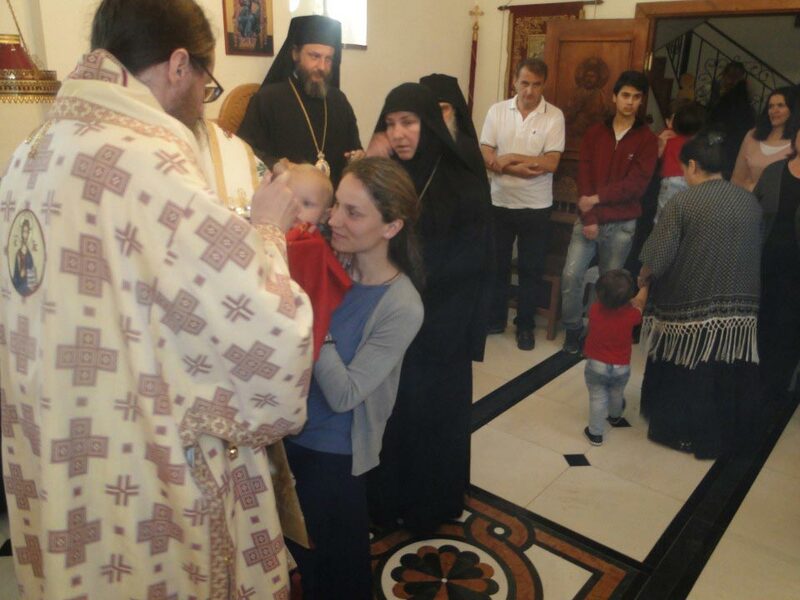 This is only a part of the persecution that the Orthodox Ohrid Archbishopric faces in the past eight years. 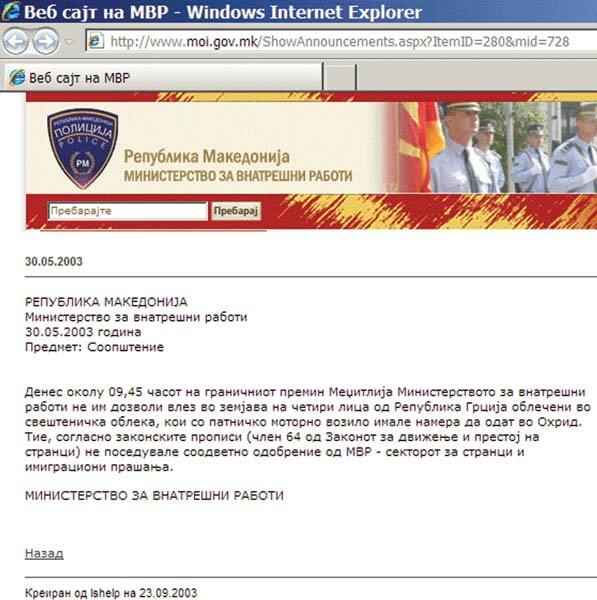 This information for continuation of the limitations of our rights is at the same time an appeal to all the persons being in position to assist the implementation of the Democratic laws and values regarding the respect of religious freedom for all the citizens in the Republic of Macedonia, without any ethnic or religious prejudice, as one of the basic conditions for integration in the Euro-Atlantic civilization trends.